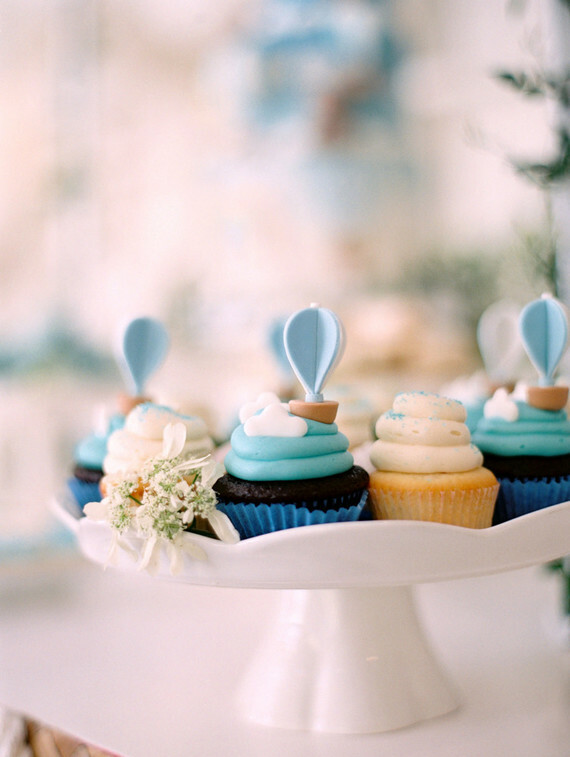 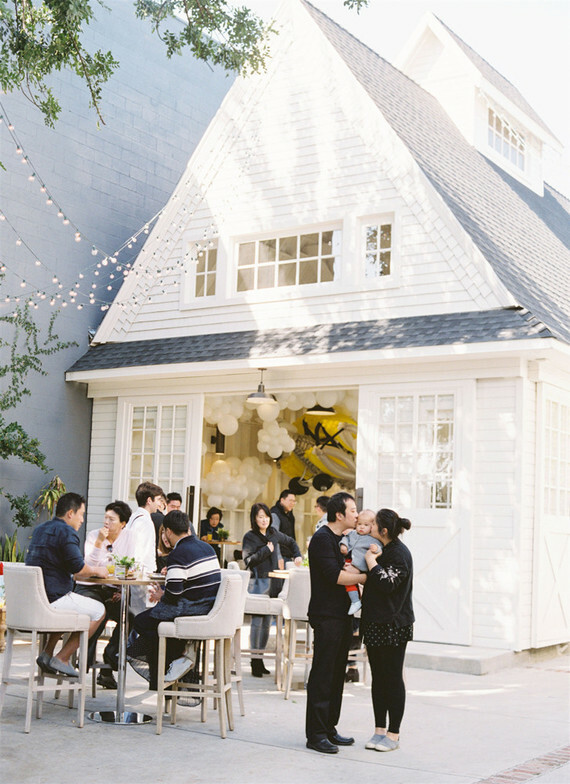 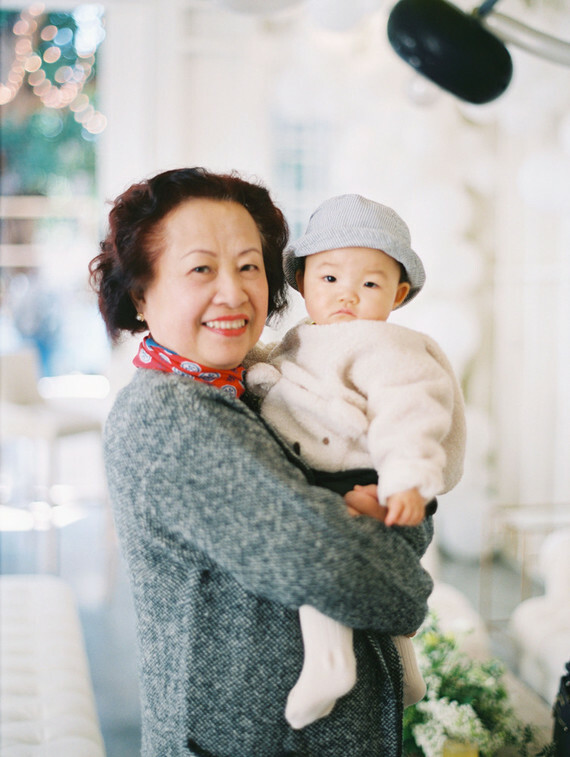 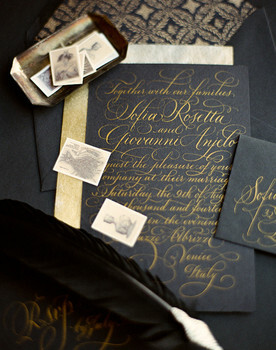 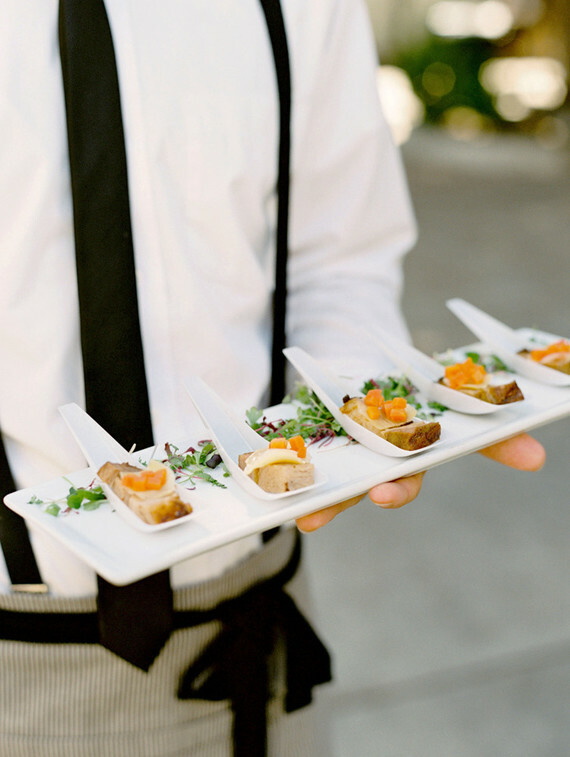 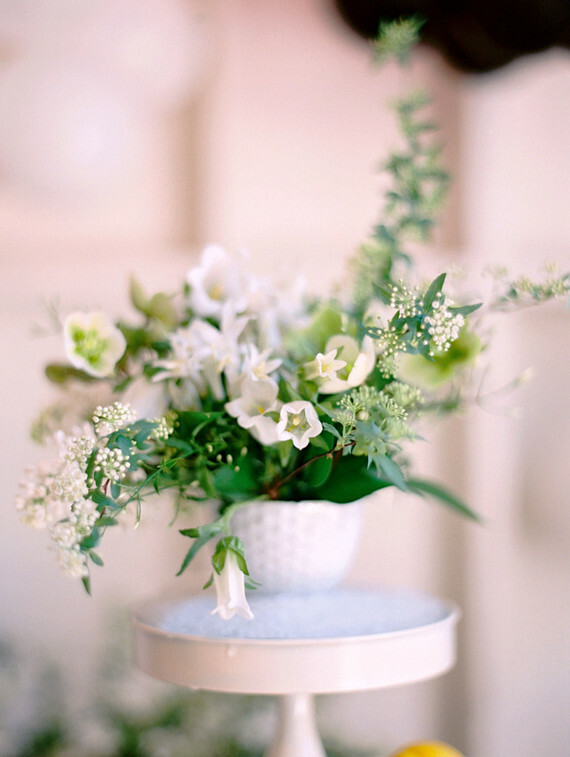 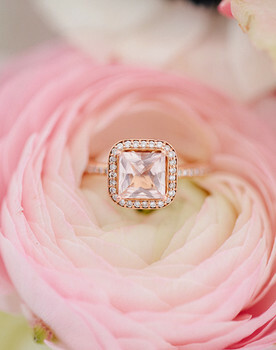 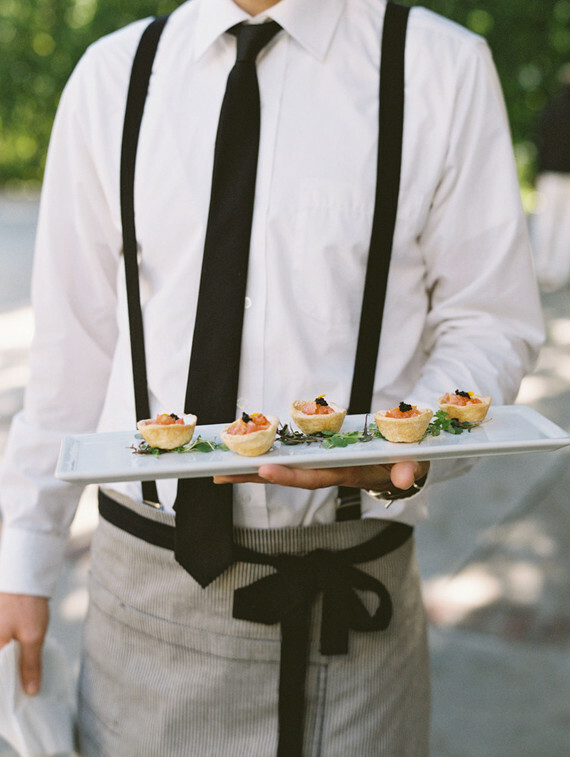 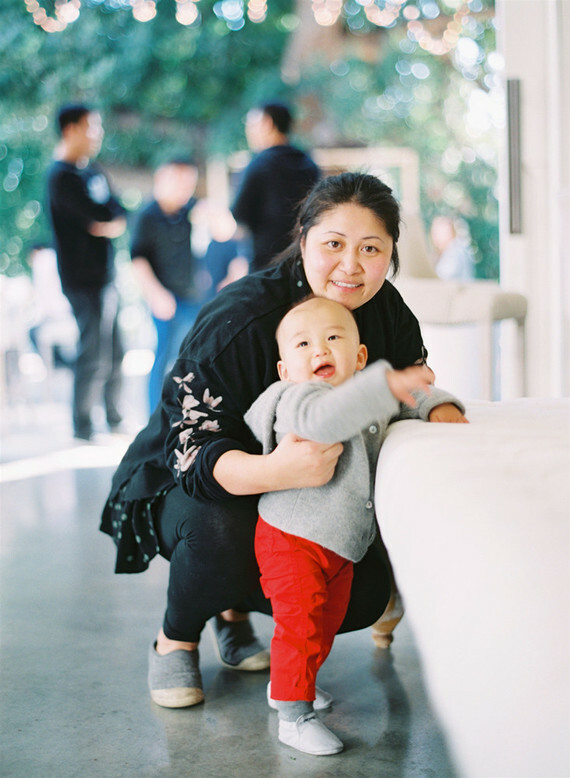 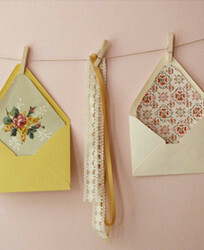 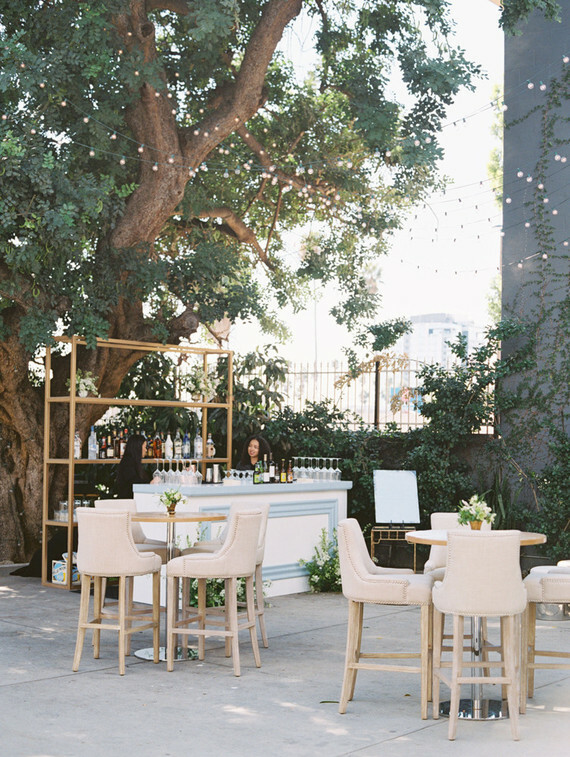 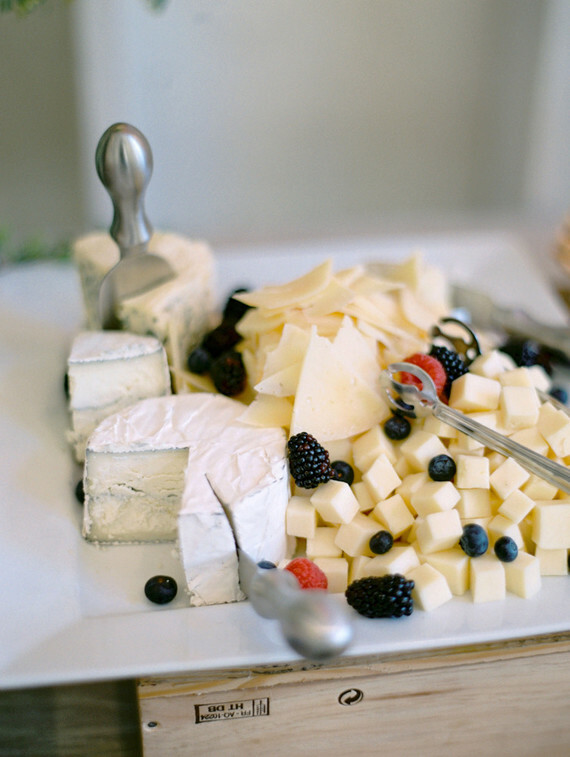 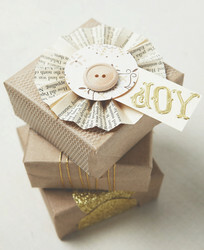 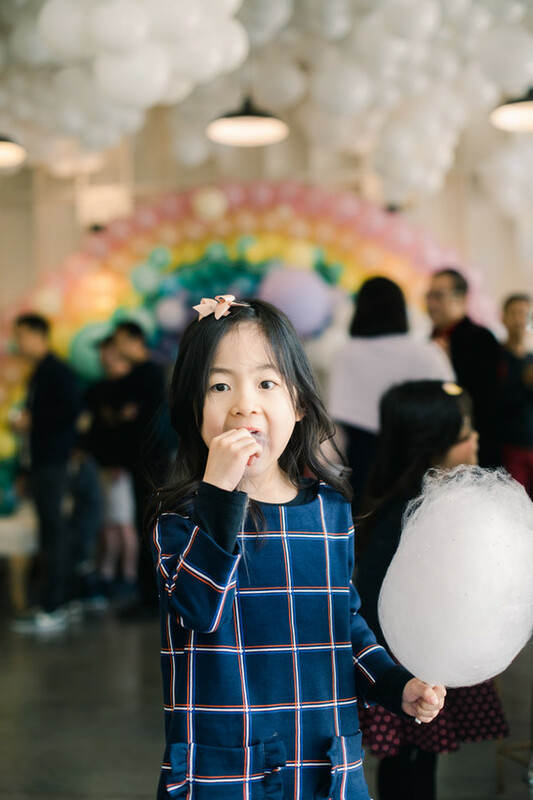 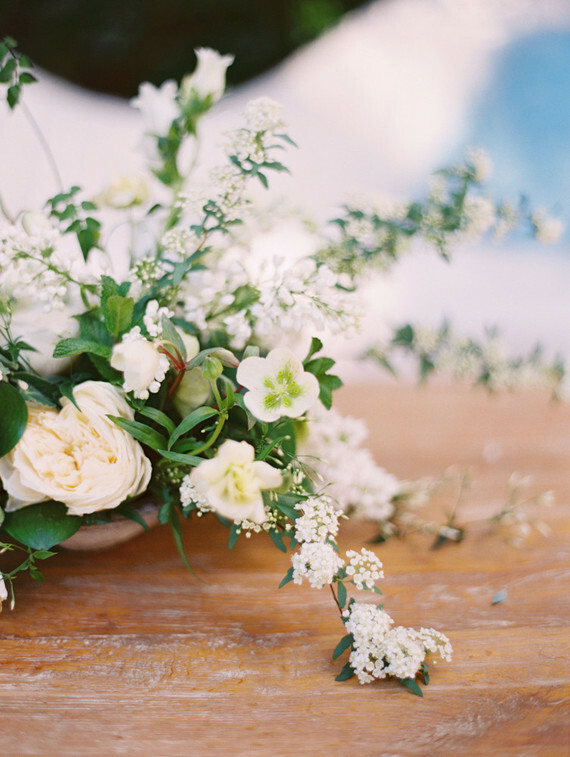 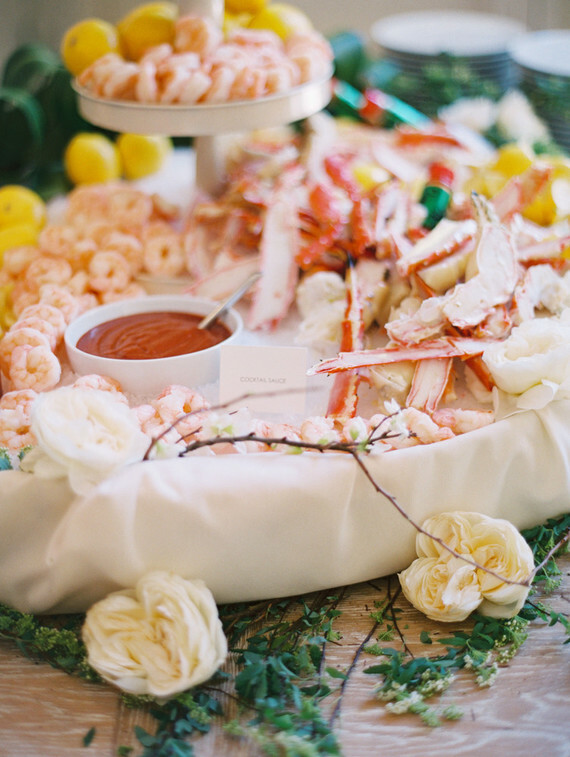 This 1st birthday party photographed by Esther Sun is quite the sophisticated soiree, mamas. 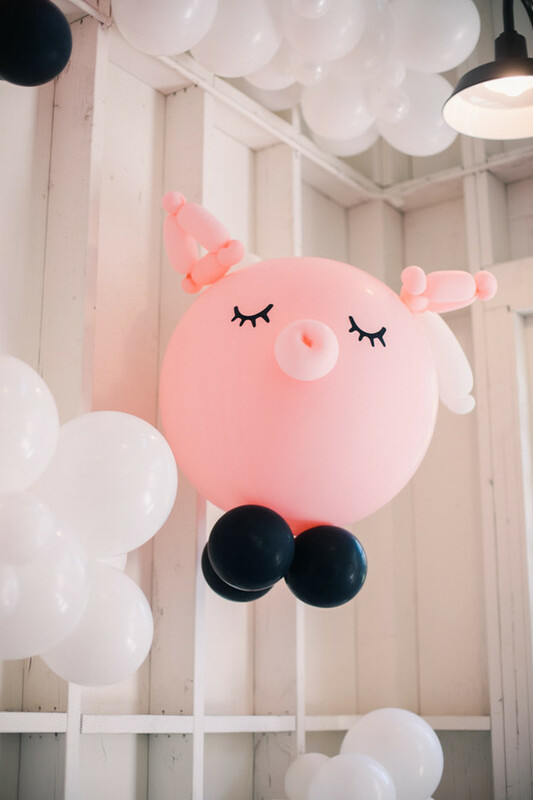 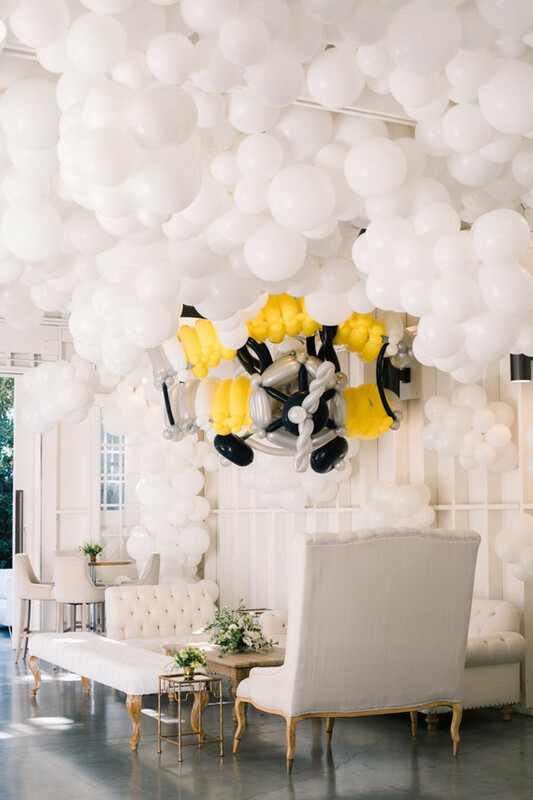 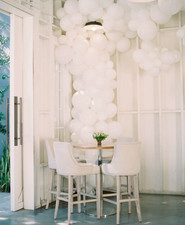 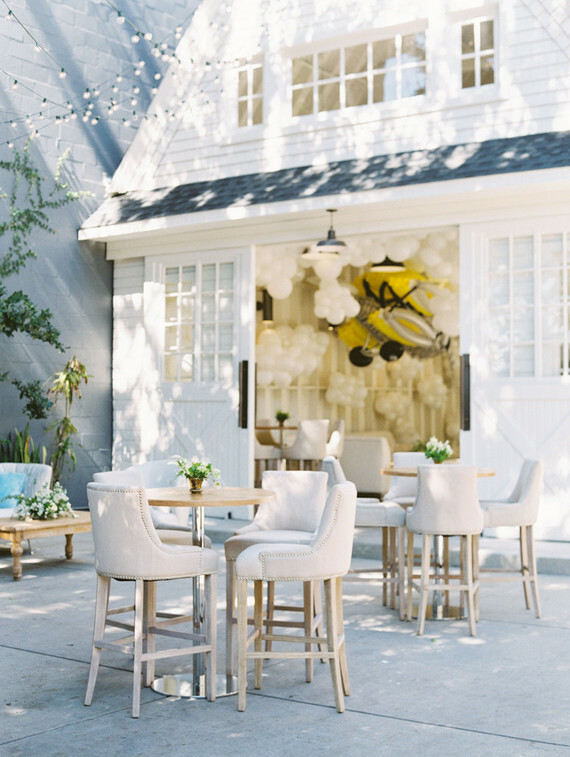 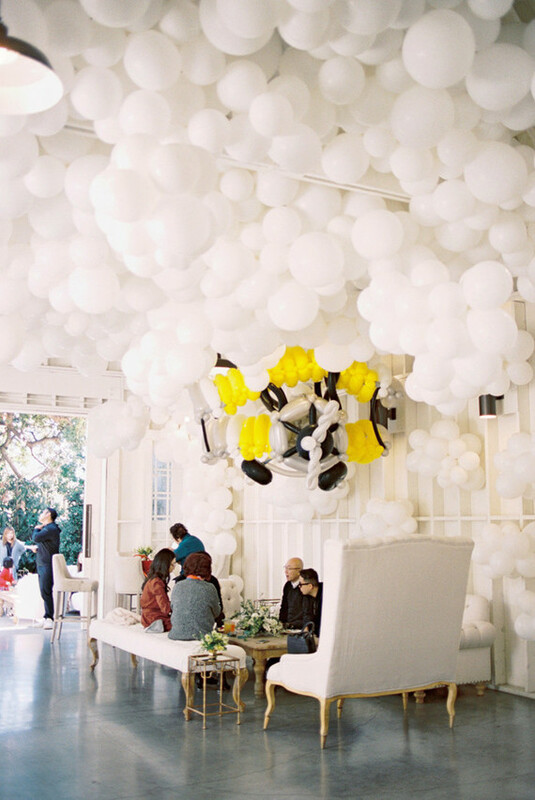 And while we fancy any good balloon installation, Balloon Monster sure took things up about a zillion notches, which made a perfect pair for the details Yvonne Xue Design incorporated throughout the coveted Lombardi House here in LA. 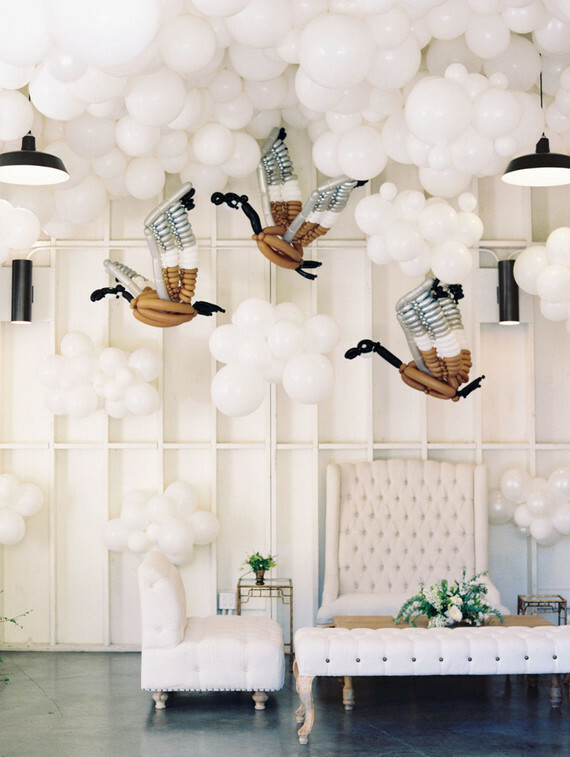 Starting with this insanely awesome hot air balloon dessert table. 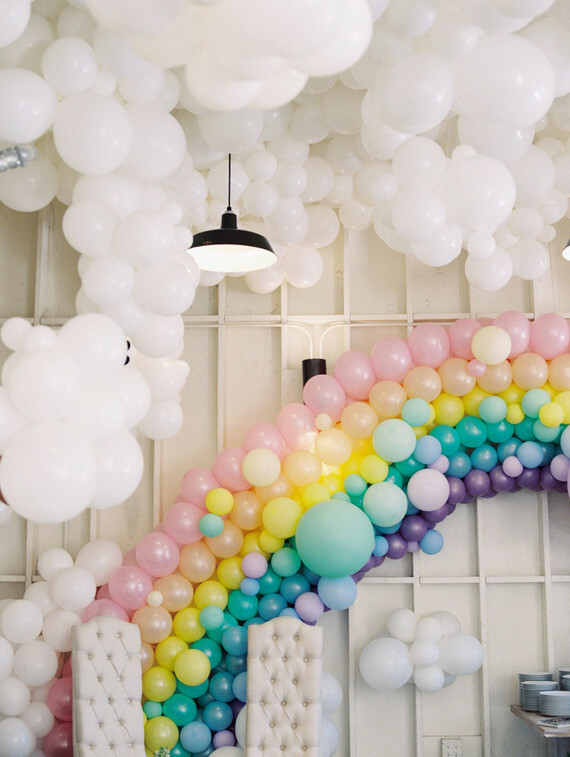 (Yep, starting.) 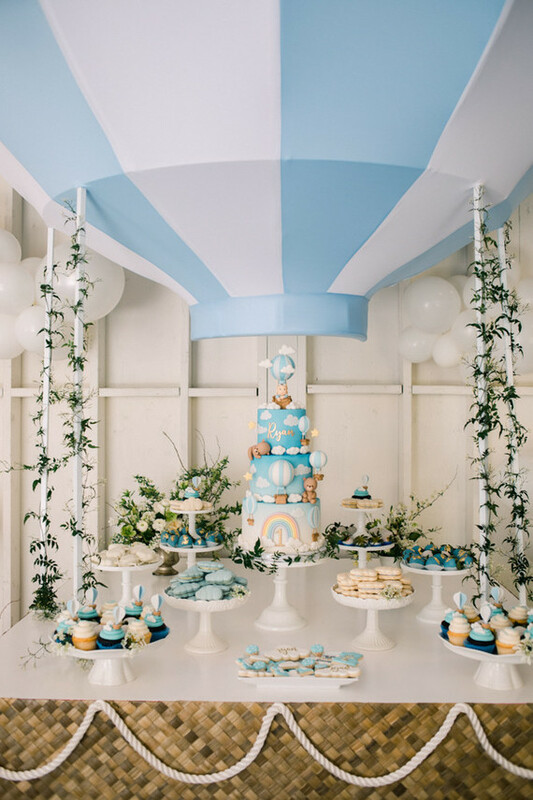 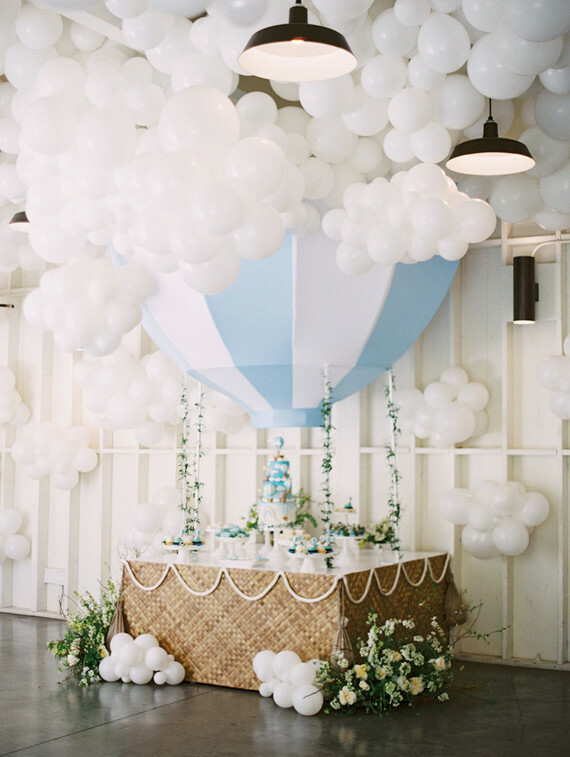 Keep scrolling for more sky-themed birthday party ideas! 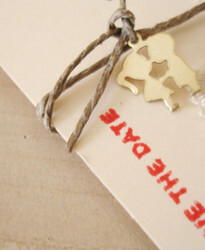 What did we tell ya?! 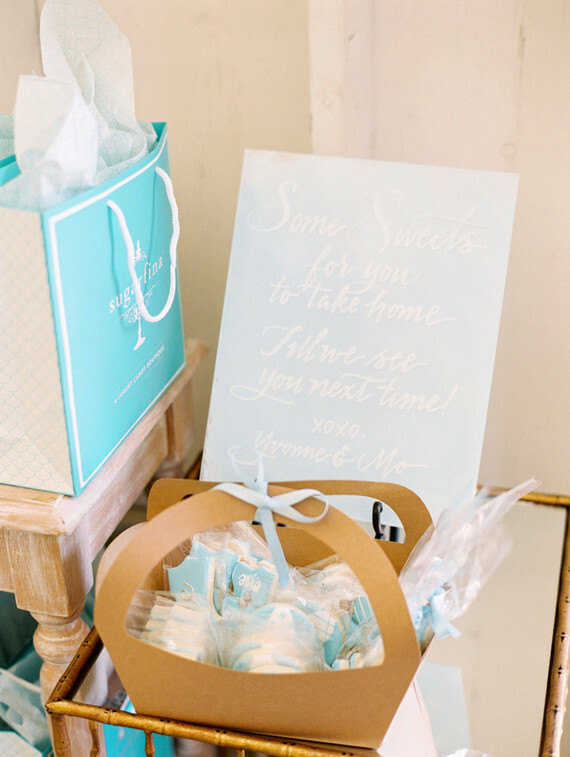 Guests took home the prettiest favor bags by Sugarfina and LottaTreats cookies. 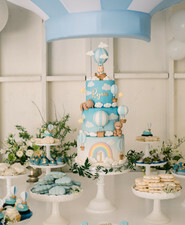 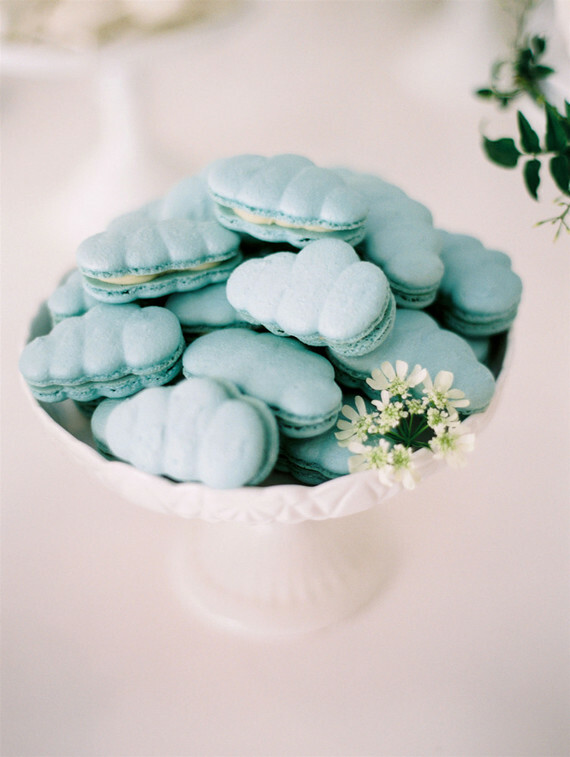 Think Sweet and Saucy Shop‘s cloud macarons might just be our new obsession for baby celebrations. 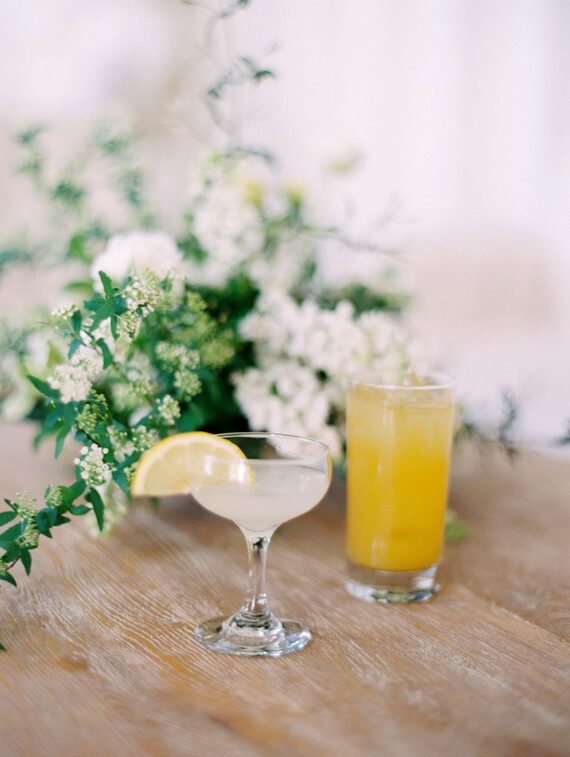 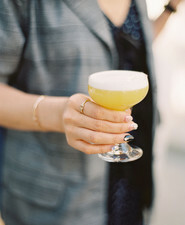 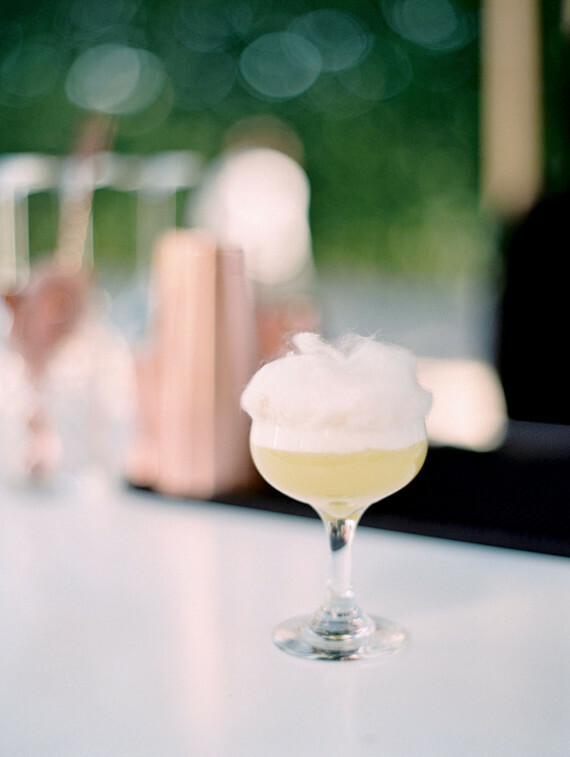 Fancy cocktails and catering from Tres LA to complement Bon Puf‘s cotton candy station. 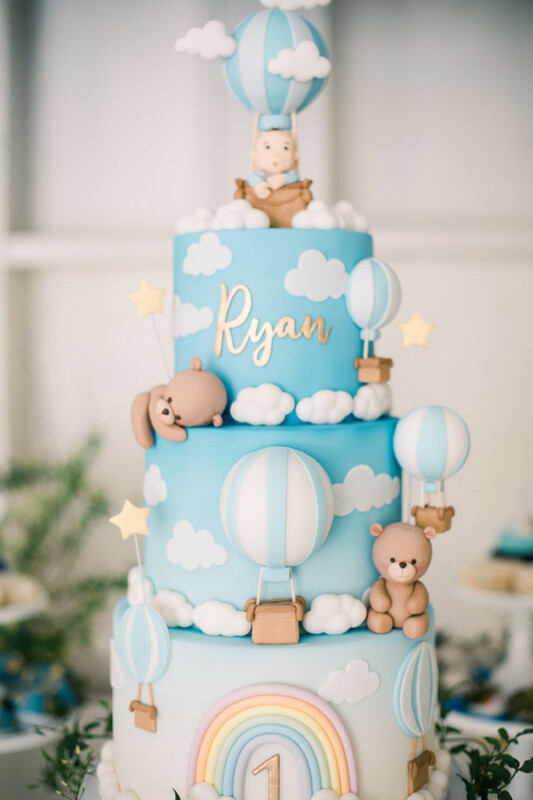 Gotta go all out with the cloud motifs, right? 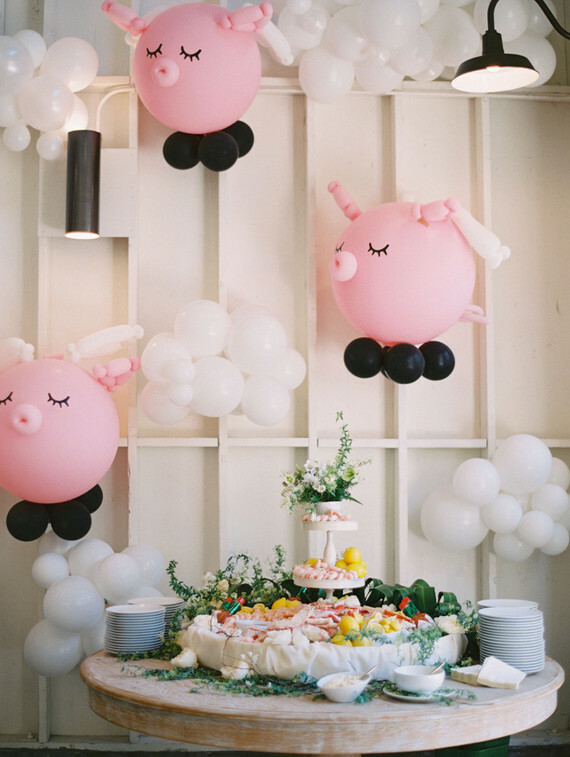 When pigs fly… So so cute! 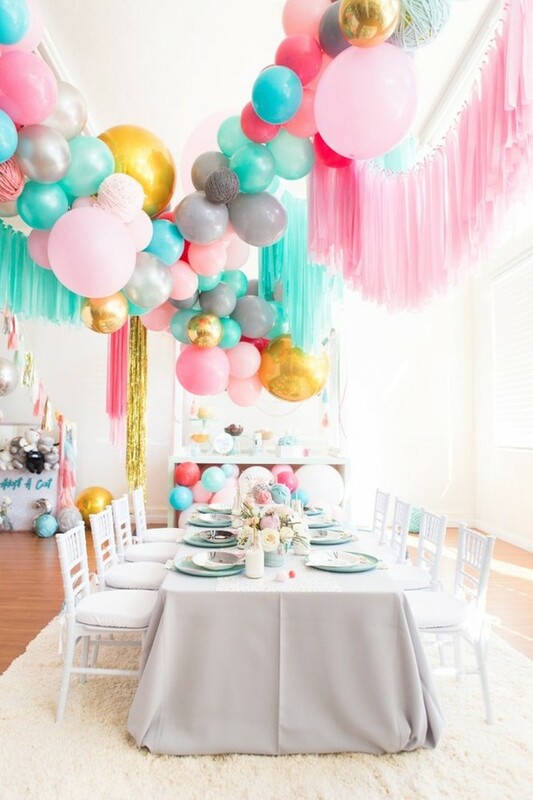 K, so we realize all 1st birthdays can’t be like this. 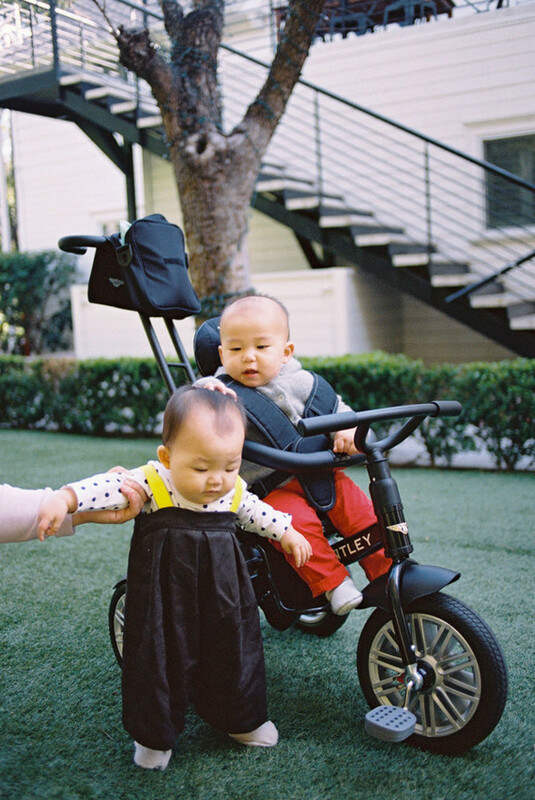 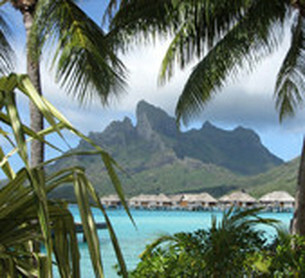 But oh if they could! 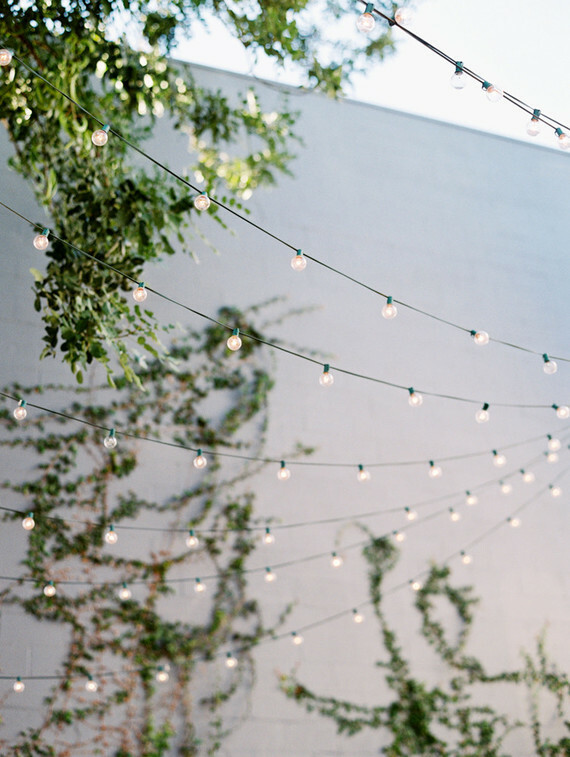 A few sweet partygoers perusing the grounds. 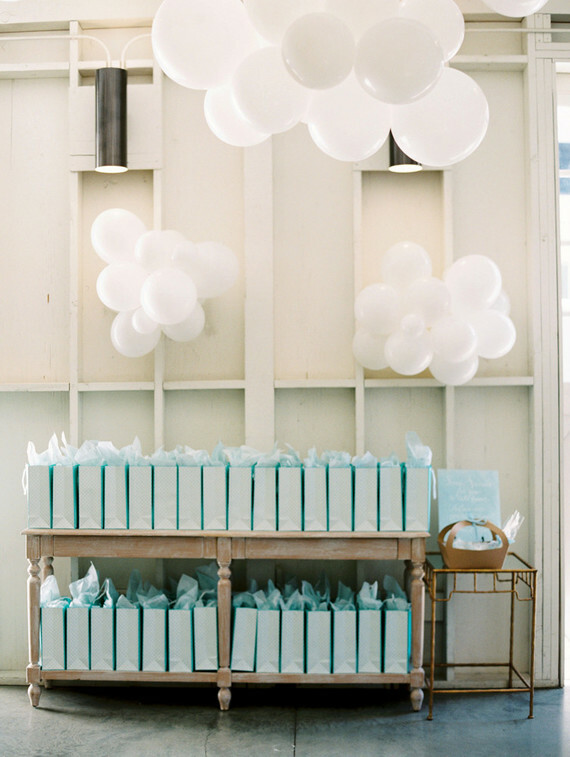 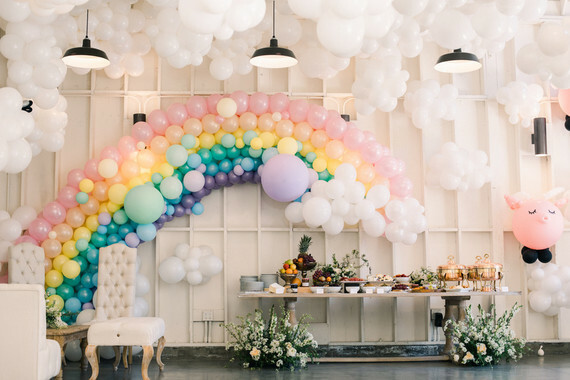 What an elegant, and beautifully executed 1st birthday party, with no shortage of deets (or balloons).